Click a star to rate! Nobody has rated this product yet - be the first! Sorry, we don't have details about any awards for this product. Sorry, we don't have any reviews of Sainsbury's Fairtrade Carmenere, Taste the Difference yet. If you've bought it, why not tell us what you think below? Be the first to find out about unmissable wine and champagne deals before they sell out. Sign up now and start saving! Waiting for a good deal on Sainsbury's Fairtrade Carmenere, Taste the Difference? Enter your email address below and we will email you when it's on offer at 25% off or more! If you'd rather receive an email when the price drops below a certain amount, use our Advanced section below. The Wines Direct Price Alert is a free service. 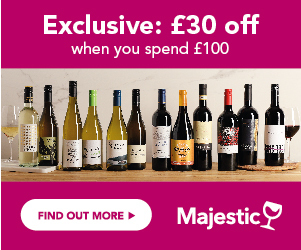 In return, we just ask you to write a short review of Sainsbury's Fairtrade Carmenere, Taste the Difference to help other customers learn about it. If you haven't tried it yet, just say so in the review and it won't be published on the website. If at any stage you decide you do not want to continue to receive your alerts or newsletter, then just click the unsubscribe link and we will remove your subscription. You won't receive more than one Price Alert a week for each wine you've set up.